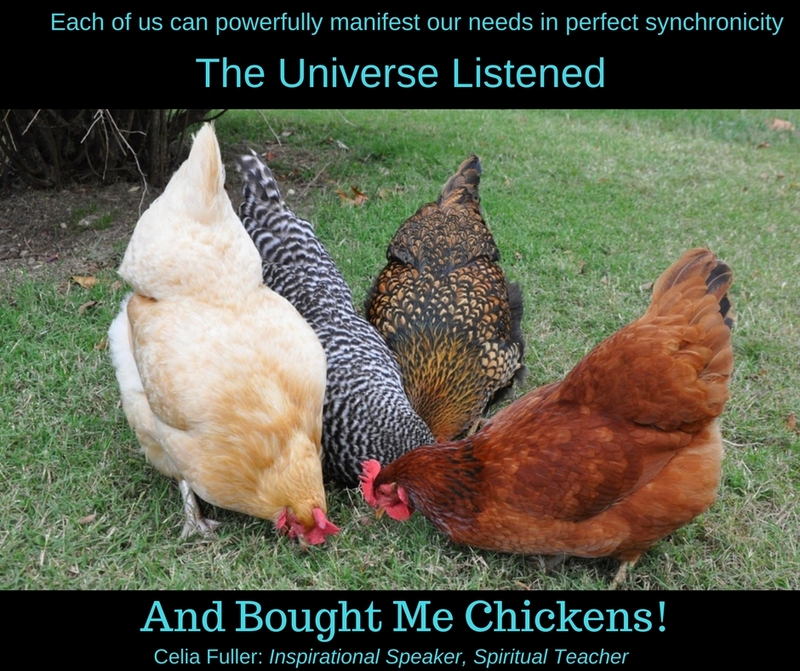 THE UNIVERSE LISTENED AND BROUGHT ME CHICKENS! Each of you can powerfully manifest your needs in perfect synchronicity when you align to your passion and excitement. 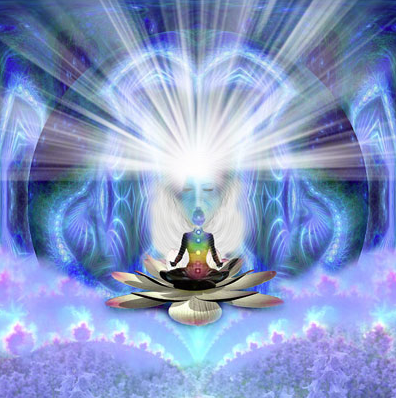 I seem to do this quite well in the most bizarre of ways, yet when each time the power of manifesting my needs, becomes evident in a physicalised way it always teaches me something about myself and the environment of consciousness I exist in. Here are a couple of quirky stories connected to each other, as an example of how easily life can flow in your direction even when you are not looking. More importantly these events unfolded without effort or need to boss, push, pull or control. Soul alignment being the key. Years ago our dog died and I told my husband that I didn’t want another pet unless it was a cat. A few weeks later he arrives with a pretty white cat tucked under his arm, that he said just kept hanging around the house. We discovered it was the neighbour’s son’s cat who had moved and the cat left him to return to next door but also decided he liked our home too. He became our cat, without owning a cat. He would purr and roll around, demanded to be let inside over night, as cats do, and then disappear for periods of time only to return again when he felt like our company. One day after the cat arrival, I had a thought. 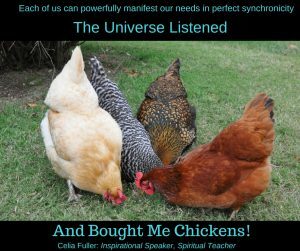 I love chickens and thought I would like some to peck around my yard. It was not exactly feasible for me to purchase some and have full responsibility so I did not pursue the matter. Within a couple of weeks the neighbour bought some chickens and before long they were pecking in our garden and I felt the joy of having chickens, but not having chickens. A year earlier I also had been thinking about buying a banana passionfruit vine, of childhood memories, as I loved the fruit. My thoughts were only dreams, I had not organised myself to purchase a plant. As months progressed I become vaguely aware of a vine of some sort growing up the same neighbours house. One day the vine that had crept incredibly high became so heavy it threw itself over our fence and draped itself decoratively for my hearts delight, displaying unusual flowers. Guess what? They were banana passionfruit flowers! A few months later the fruit became evident and ripened. So easy! No purchase or gardening. Next thing I know this same wonderful neighbour whom we rarely spoke to unless either was in real need of help, decided to hang a bucket over the fence with a carton of delicious eggs. Thus began a small situation of swapping goods over the fence without talking to one another. It was just a quiet process of support and sharing. All my secret, quiet wishes that I mostly never voiced, just manifested in my life like magic. They came from my inner magic. A potentiality we all hold within ourselves. Sadly the neighbour now has gone, along with chickens, eggs and cat but in return his presence was a gift and taught me again that the Universe is listening and responding to the whispers of the heart without any effort of interference from my part. You can indeed create the life you wish for yourself, whether in domestic living, business success or relationships. Most often just living in the moment will align you to the passion that arises from within and the magic follows. Sometimes however, you might need to restructure your psychology by reprogramming redundant belief systems causing a sabotage effect that takes you out of this magical flow. You too can manifest your dreams. Wholistic Lifestyle Consultations involving a specially formulated Blueprint Healing method can create the changes you need to live in more aligned harmony. These are offered as face-to-face consultations or over the phone.